Lovely shade of turquoise pyrex bake ware dates to 1950’s. Really nice overall condition on all the pieces. The lid on the casserole has some damage on one tab end. Large snowflake casserole with lid is $22. 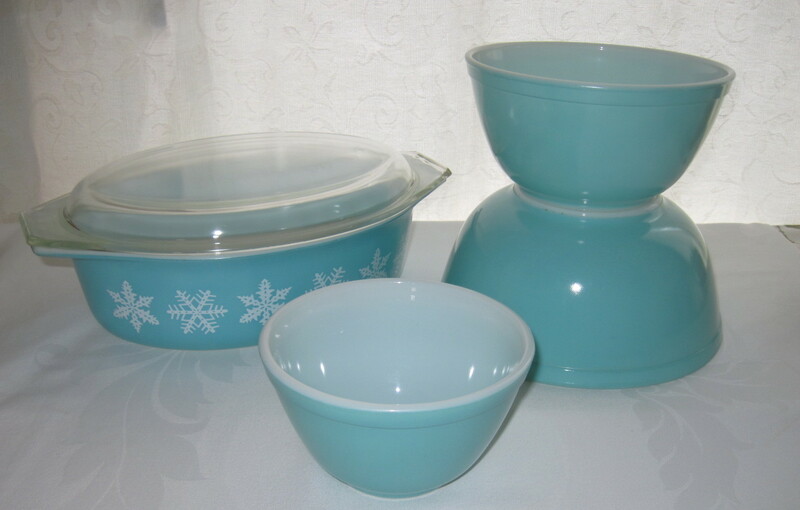 The set of 3 Pyrex turquoise mixing bowls are $ 65. These items are for sale at my booth in the Almonte Antique Market. Note: Bowls have just been SOLD!! !